To us, your happiness and comfort is our contentment and your privacy, our foremost concern. 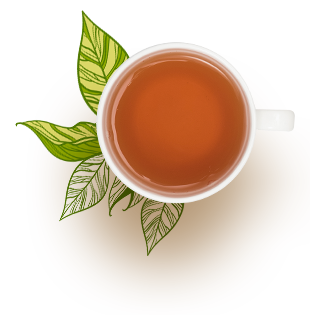 At www.halmaritea.com, we ensure you (user/customer/visitor/buyer) enjoy a wonderful and satisfactory tea shopping experience, with the earnest desire of coming back for more. To offer you such quality service, we need to collect some of your personal details here. However, as we do respect your privacy and security, our team is committed to protecting your information to the utmost. Please note that no sensitive information will be collected without your consent. However, any detail of yours freely available in a public domain will not be treated as sensitive. Also, the information which has been provided under the Right to Information Act, 2005 is not a sensitive one. Therefore, you are requested to read this thoroughly and be aware of what information is collected and how those are used. Amarawati Tea will collect only the details which are provided lawfully and willingly by the users. Personal information like your name, email ID, contact number and address collected during the registration process on Halmari tea’s website. These details are also collected when you buy gift certificates and products and sign up for newsletters. Records of transaction carried out via our website are also collected to serve you. We would ask you to provide your card details (debit/credit) while you purchase via our site. Submission of such sensitive information takes place through the highest level of security. However, you will be responsible for keeping the passwords that allow you to access this site confidential. Some information of users are collected automatically by servers maintained by Amarawati Tea as they visit and browse our website. Like, your visits and browsing details on our site including IP address, location data, traffic data, and other communication details. It’s mostly to customise the resources you access or may look for. Please note that you are not identified when we collect these web log details. We can identify you only when you provide us with your personal information willingly. Cookies may be stored on hard drives of users when they browse through our website. These will only fetch browsing details and statistical data. Once again, no personal or sensitive data will be collected from users’ hard drives. Cookies help recognize a user and speed up his or her search by providing relevant results. These also help us customize our offers and services based on your preferences and requests. Our advertisers may store cookies in your system, on which we have no control. As a user, you can always choose to refuse or restrict such access and also manage these cookies by doing modifications in your browser’s settings. Amarawati Tea collects your information with the purpose of offering you better products and personalized service. It helps us to process your order effectively. The information received is used for identification and verification purposes you when you contact us. It helps us when you participate in the contests organized by us. It helps us in the development of new products and offerings. Amarawati Tea will not share or disclose any personal identifiable detail of users with/to any third party. In case of such requirements, permission from users will be taken beforehand. We only share non-identifiable, statistical data of visitors to our associates and advertisers. If any user performs unscrupulous and unauthorised activity or use of this site, we shall disclose his or her information to the concerned government organisation or authority in order to take legal actions against him or her if required. The investigation authority carries out further proceedings. Otherwise, such disclosure is made in good faith so that users abide by our terms and conditions. Also, Amarawati Tea reserves every right to disclose personal user details to act in accordance with any government or court order or any other legal requirement. In order to serve you better, our team verifies the sensitive details you have provided us. Hence, we request you to submit all correct details wherever required. If in case you find any incorrect personal data, you are requested to correct, edit or modify at the earliest before we process your order. Any incorrect detail may lead to cancellation. Users can make modifications and updates completely for free. We reserve the right to discontinue order processing if such incorrect personal details exist repeatedly. Also, we shall not process any order if privacy of others is hampered. Please note that even after you delete any information from our site, the residual copy continues to remain in our backup system. Those copies, however, get deleted after a certain time. Every customer data provided on our site are protected by the high-end SSL technology. SSL secures your information even before you send it. Data collected from our customers are prevented from any kind of unauthorised access. Our data experts have deployed the latest internet technologies and security methods to prevent such accesses and also maintain data accuracy.